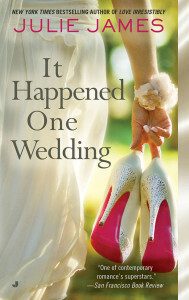 I wanted to make sure you knew about a sale my publisher is running: for a limited time, IT HAPPENED ONE WEDDING is only $1.99 at all ebook retailers. The book is a reader favorite, so if you haven’t read it already, this is a great time to scoop up a copy. And if one sale isn’t enough, how about two? 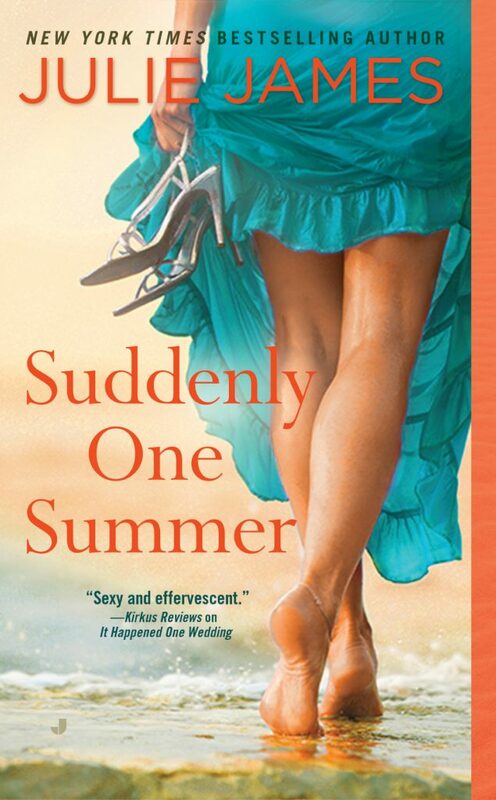 My most recent book, SUDDENLY ONE SUMMER, is also only $1.99 in ebook. I’m not sure how long this price drop will last, so I would get it while it’s hot. 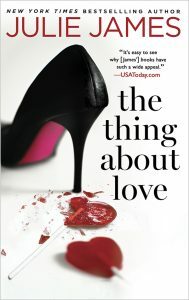 In other news… did you hear that I have a new book, THE THING ABOUT LOVE, coming out in April? You can read more about the book here. I also plan to post an excerpt next month, so be on the lookout for that! 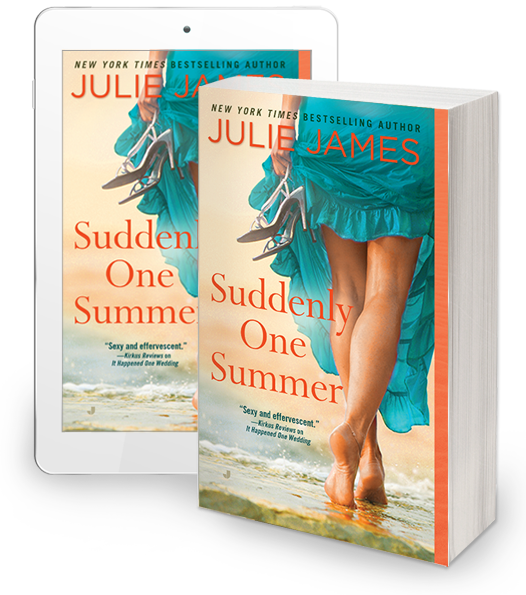 SUDDENLY ONE SUMMER is out today! Get SUDDENLY ONE SUMMER today! “You don’t believe in marriage?” Ford asked. Ford was giving her that “amused” look again. “What?” Victoria asked in exasperation. He laughed. “You’re just so . . .” He trailed off, his expression a mixture of frustration and something else she couldn’t read. “Challenging.” His eyes held hers across the table. The moment was interrupted when the waitress dropped by to take their orders. Starving after her first foray into undercover work—and a darn good performance, if she did say so herself—Victoria ordered the hand-cut fries with dips as an appetizer along with her brisket sandwich. “‘Precautionary measures’? What does that mean?” He took a sip of his beer. “Maybe it seems that way now, but I predict that in five, ten years, it’s going be an option a lot more women consider.” She leaned in. “Let’s be honest, it’s an advantage you men have in the dating game, a chip you wield over us—our biological clocks. How many times have I seen a woman, like me, single in her thirties, successful in her career, but she’s in a near panic when it comes to her personal life because she wants kids and she’s done the math: she has to meet a guy by the time she’s this age, so she can get married by this age, and pregnant a year later. I say the hell with that. I will decide if and when I’m ready to have kids. I’m not about to cede control over that to Fate, waiting around for Mr. Right to show up on my doorstep.” She paused, catching that. 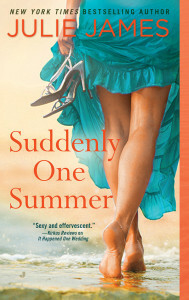 Also, I just posted a new excerpt (two chapters) on my website, for those of you looking for a sneak peek. Only four days until release day! Happy Friday, everyone! THE THING ABOUT LOVE price drop!